Medea wouldn’t be my first choice to put on stage: a Greek tragedy written in 431 BCE, centred on a woman’s desire for revenge against her unfaithful husband. It definitely wouldn’t be my first choice to be the first ever production by an all BAME cast and crew at Oxford University. But for Francesca Amewudah-Rivers, the only black student in her year group at her college in Oxford, she finds that Euripides’ play hits close to home. 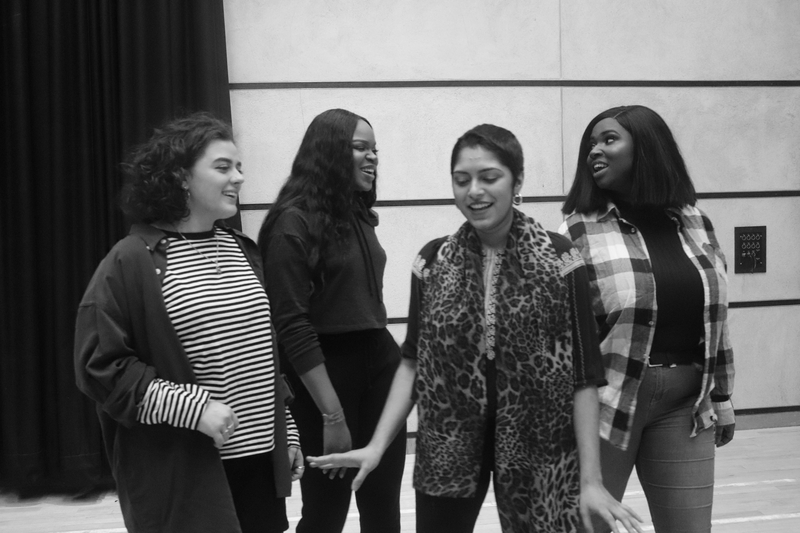 Taking a piece construed as archaic, Francesca is infusing her voice and the voices of many students of colour to tackle the diversity problem within Oxford’s Drama Scene. In 922 years of establishment, 23 May marks their historical opening. I spoke to her about creating a predominantly white space, starting Oxford’s first all-BME drama society, and why all of this matters. Raised in a village near Brighton, by a Ghanaian father and a Nigerian mother, Francesca grew up with a penchant for the arts, exposed to all that Brighton and nearby London had to offer. She learnt to play the piano at a young age, and in 2013 she auditioned and got into the National Youth Theatre. “Drama has always been sort of a hobby for me…it was only when I got into the NYT when I was associated with different people in the arts, and exposed to all the different facets within theatre that I really felt that actually, this is something that I really want to pursue more, as opposed to academia.” During her A-levels, she decided that she wanted to devote her studies specifically to the arts. She found the course; applied, got into Oxford, and the rest is history in the making. With one of the largest student drama communities in the UK, Oxford has a reputation of professionalism when it comes to theatre, but as soon as Francesca arrived, she was overwhelmed. Each term sees roughly 20 plays being produced by drama societies, and they go through a process of bidding for each theatre. As a fresher hoping to join in, she quickly noticed that the drama scene was inaccessible: “I’m genuinely quite a confident person, but I definitely felt as though it was closed off.” This is a problem that is indicative of the creative industry and perhaps more pertinently, the normative judgments that form societies understanding of race. Out of the top 100 movies of 2014, nearly 75% of all characters were white. On this basis, it’s hardly surprising that there has been little to no progress in creating a narrative for POC when it is evident that the industry is trapped in a land that time forgot. None of this is done with malice, but this anecdote highlights the issue that often arises from the discussion of diversity. In these cases of solely focusing on progress through percentages and tick boxes, it has to be understood that it is difficult for people of colour to take solace in the fact that the criteria for their selection aren’t primarily due to their race, but their talent. This ends up ending in a bastardised conversation that people are too afraid to have, which is part of the problem. These issues created the incentive for the BAME Drama Society. With the help of two of her friends, Taiwo Ava Oyebola and Riya Rana, the trio formed a Facebook group that gained 80 members in the first semester, and that was just through the people they knew. Like most community organising, this stemmed from a place of frustration. There was a need for students to connect, vent and share their common feelings of isolation. Being a minority can often feel that your voice is unheard and you are continually being stereotyped. Having this new space allows for students to express themselves in more ways than one in a field that they might not have been exposed to due to assumptions that they would never be interested. We don’t live in a vacuum, and yet essential narratives and outlets for people of colour do. Discussions around diversity at schools like Oxford are not new; in fact, they are often reported. We hear and participate in the national debates about Eurocentric curriculums, micro-aggressions and lack of economic, racial, and gendered diversity. Francesca points out “it feels like we are fighting a losing battle anyway because if the demographics of the university are not diverse, then how are you going to expect the drama scene that is available here to be?” Just recently, talks about the prospect of privatising Oxford and Cambridge beg the question of how this will affect the diversity of students for the future. When we raise educational fees, we are continually perpetuating the bubble of elitism in the country.